We want our toilets to be clean and tidy. After all, it is one of the most sacred parts of our home. Well, all of the hygienic regimens happen in this place. Moreover, it is the only place we can shed all of our discomforts. You know what I am talking about here. No need to elaborate. When the time comes that our bathrooms and toilets are in dire need, we should come to rescue. Sometimes, the labour of repairing and maintaining our lavatories could come expensive. You cannot just simply rely on warranties alone. The services of plumbers and professional repairers are not the cheap either. If you want to prevent the expenses from flooding in, you need the help of the best toilet repair kit. There are various options when it comes to this amenity. I am not a plumber by myself, but I know that the following selection I am going to show you will help you in your dirty work. Of course, their prices and designs vary. Therefore, you should inspect their capabilities first. Among all the toilet repair kit out there, you should pay attention first to the Fluidmaster 400CRP14. It is a modern amenity that is used by standard household owners and service professionals alike. This particular kit came from the United States. Therefore, you can guarantee that each of the tools is durable, rugged, and seamless. Specifically, the Fluidmaster 400CRP14 is the toolkit that you should use if ever there are cracked valves in your toilet. The kit comes with the 400A fill valve that can solve this problem right away. It also has a sturdy 501 frame flapper. The latter can align itself correctly to your tank's drain. As a result, you can get a powerful and smooth flush. The Fluidmaster 400CRP14 also features a quick-instalment capability. You can mount the entire kit for less than ten minutes. After that, your toilet will flush like it is brand-new again. It can also troubleshoot noisy toilets, too. Just take note that this repair kit is ideal for 3.5-gallon flush toilets or greater. Another toilet repair kit that you should opt is the Korky 4010PK. It is a universal repair kit that should be compatible with most of the bathroom designs and brands out there. It is among the most comprehensive toilet repair kits that I have seen and tested. I can say that this package alone is enough for you to conduct a semi-overhaul to your bathroom. It can troubleshoot little refilling problems, running issues, and even noisy toilets. This kit comes with various amenities such as the flush valve, flapper, tank-to-bowl components, and fill valve. Once you can get this kit, simple repairs should be achievable already. Specifically, the Korky fill valve features an incredibly quiet operation. Many have testified that this fill valve is smoother than most of its counterpart. The Korky 4010PK is also a flexible option. You can adjust it so that it can fit onto different toilet designs. You may also regulate the flush valve that it has without the need for external tools such as a hacksaw. Meanwhile, the flapper that it has crafted from a patented commercial rubber that is resistant to bacteria, chlorine, and other harmful detriments in the water. Is your budget restricted currently? Don't worry. You can still get a quality toilet repair kit even with your limited funds. For that, I will give you the LDR 503 1340 Toilet Tank Repair Kit. This particular kit features a durable fill valve that has an integrated float. The latter sports an anti-syphoning feature to ensure a reliable repair. There is also a sturdy body flapper that comes with this package. It comes with commercial-grade materials, so you can expect that it can last for a long time. Also, I have to emphasise that the fill valve has an adjustable height. Therefore, it can cater to different toilet designs out there. Each of the components that come in this package is resistant to chemical and other detrimental elements. They don't rust and corrode, which further improves their performance. When it comes to the installation process, I can say that the LDR 503 1340 can provide its user with the right amount of convenience. The instructions are present in the manual already, so you don't need to fret about anything. The Danco HYR460 HydroRight Total Repair Kit is an impressive and comprehensive option for your toilet necessities. It is an innovative package that guarantees efficiency to its user. One of the perks that it has it is the presence of a dual flush converter. This particular component effectively reduces the amount of water you are going to flush. It is a form of a regulating hardware that ensures that you are wasting water. Of course, this toolkit is a one-stop-shop for all your everyday toilet repair needs. It can stop leakages in your toilet and troubleshoot a dysfunctional flapper. It is somewhat notable that the dual flush converter is compatible with flush valves. It can fit on tightly, which prevent leaks from happening. The height of its valve is adjustable too, specifically from 9 inches to 14 inches. The Danco HYR460 HydroRight Total Repair Kit is capable of converting a standard toilet into a two-button setup. That is the biggest selling point that this repair kit has. It can also improve the flushing efficiency of your toilet, which is quite a handful already. All the parts are made to comply the industry's standard. Therefore, you are already safe with this repair kit. Aside from being a universal float valve kit, it is notable that the Kohler GP1138930 possesses the rigidity that is not present on most of its counterparts. This product is designed and produced in industrial factories in Mexico. All of its parts are inspected and prescribed by Kohler, too. Technically, the Kohler GP1138930 is not a full repair kit. But if your problem is limited to the float valve of your toilet, then this one is a perfect choice. Since it comes with high-grade materials, its lifespan and performance should be reliable. It is a cost-efficient option, too, if you don't need to invest on complete toilet repair kits. The only drawback that the Kohler GP1138930 is its compatibility. Specifically, this item is for Kohler toilets. You might get a hard time adjusting this kit on other bathroom brands. Having a real toilet repair kit matters. You can't expect that things will work for you if the repair kit that you have is incomplete or doesn't have sufficient qualities to do the job. You have to learn how to pick the right set for you. But before you visit your local market or online stores, you must determine first the problem that your toilet is experiencing. Of course, there are several issues that your toilet can encounter. One of these is the "missing flush." Sometimes, the problem could be the consistent flow of water even if you are not flushing. As of today, the most common ones are leaks and dysfunctional floater or flapper. This process is somehow easy to do. Just flush the toilet so that you can empty its tank. After that, you need to shut off the water supply. Once the toilet links from any water source, you can already do the assessment. See if the valves and seals of the bathroom suffer from corrosion or not. Corrosion, as well as mineral accumulation, can cause leakage and other prevalent bathroom issues. 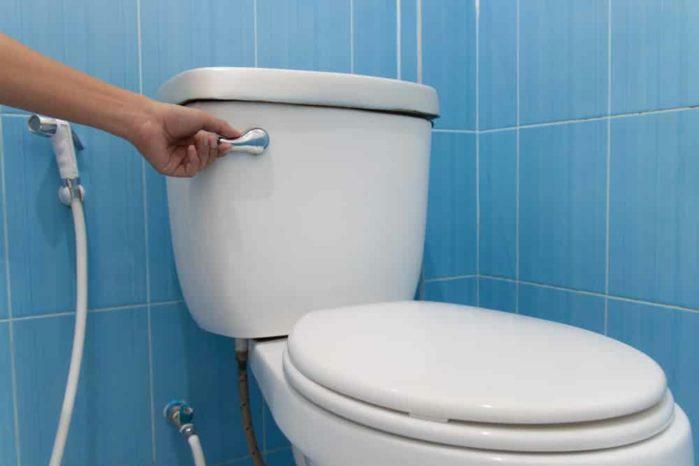 Do not also forget to inspect the fittings, valve seats, and other components of your toilet that come with metal. If they already deteriorate, use a steel wool and cleanse them. Do this step before you fit your toilet again. Of course, you should not forget to check the floater ball. Make sure that it is in its proper condition. If you can see it became loose or there is a damaged wire on it, get a flapper valve kit to do some replacements. If your toilet is suffering from this problem, there is a good chance that the flapper or floater ball is the main culprit. Specifically, they might not be in the right condition to automatically assess the water volume inside the toilet tank. Once this happens, your flapper will keep on filling the tank. Eventually, it can tax your water bill. To solve this nuisance, use the repair kit to have the flapper valve being re-fitted. At the same time, you should replace seals and gaskets as well. Most of the toilet repair kits nowadays have a flapper valve include a bathroom kit on their package. You might need to purchase the seals and gaskets separately. Fortunately, they are not that expensive. Don't forget to lubricate them before the replacement process. This one is a pesky and annoying issue. However, it is a prevalent problem encountered by many toilets, especially those old models. A malfunctioning fill valve might cause the slow trickling of water. The latter is a ball-shaped component that comes with a small float on its arm. If the fill valve is faulty, your toilet will automatically produce water, even if you are not using it. You can solve this problem by cleaning the valve. Sometimes, the clogging of minerals can cause this component to malfunction. There is a high probability that this is the real cause of your running toilet. You might not need to purchase a repair kit anymore. But if that is not the case, then you should need a replacement. 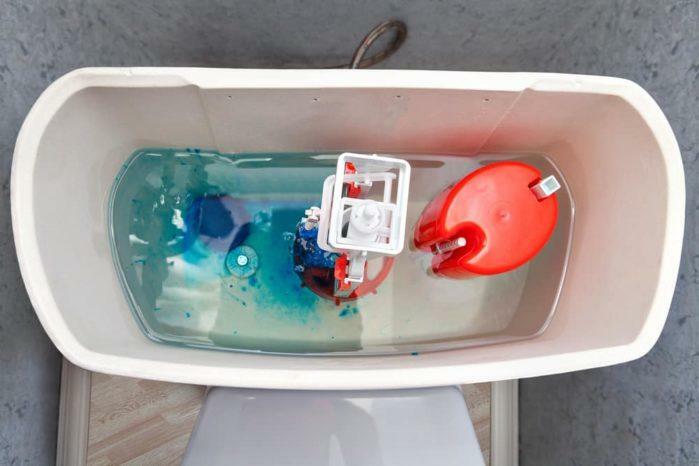 Buy a standard toilet repair kit and have the erring valve replaced. After that, your toilet would never trickle anymore. 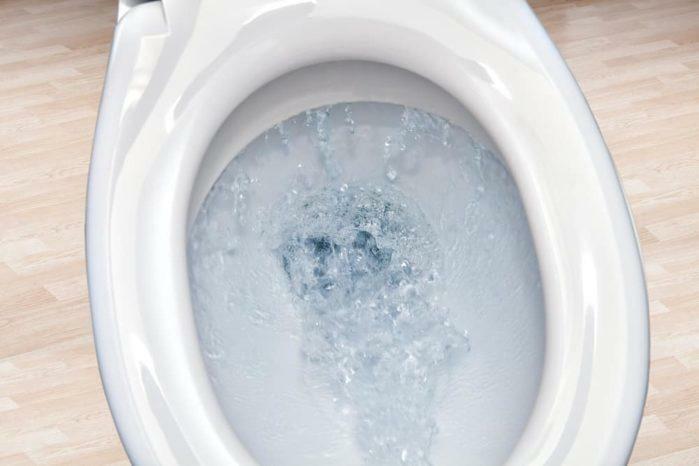 Another annoying problem that toilets encounter is a soft splash. That can cause repulsive results (if you know what I am talking about). The culprit of this issue could be a damaged flush valve cartridge. It could also be the air filter located on the toilet's fill valve. Fortunately, a toilet repair kit may not be necessary to correct this problem. Just clean these components with the use of a wire brush and vinegar. But if they are already damaged, then you have no choice but to rely on your repair kit. Before you start working, check the warranty information of your toilet. Specifically, check if your toilet is compatible with silicone. I know that is just a minor detail. However, take note that some fixtures work well with silicone and related materials. If your toilet is not in good terms with silicone, there is a good chance that you cannot make seal its internal components correctly. 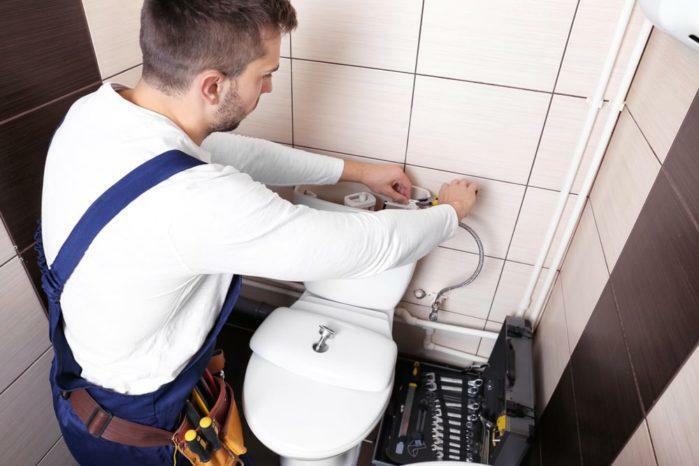 Sometimes, it can cause other problems, too, such as corrosion and harmful interactions between the material and the sealant of your toilet. Therefore, before you repair, make sure that you are aware of this detail already. Of course, I need to emphasise that a toilet repair kit is not always the solution. If you think about it, you will realise that this kit can only solve particular issues and problems of your toilet. Other significant errors are beyond their grasp already. This time, you might need the help of professional plumbers already. I know that their services are not that cheap. However, they're an investment that you should take. Moreover, a poorly designed toilet is beyond help already. Even contractors would advise you to replace them already. 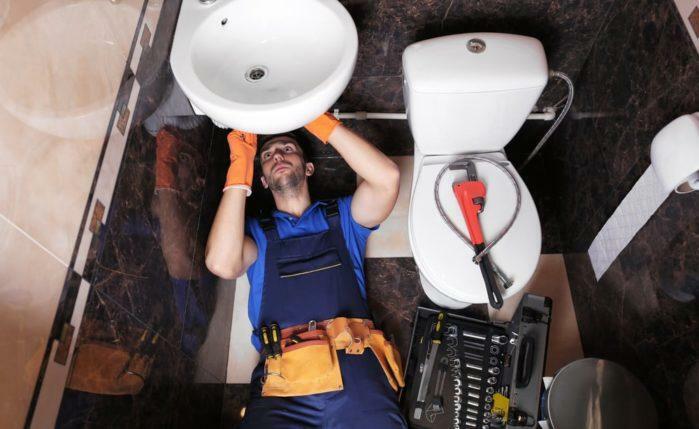 You can save your time from doing repairs if you install a good and modern toilet. Just sacrifice a little. Your entire household will benefit from this replacement in the long run. Your water and repair expenses would curtail. Furthermore, your convenience will be secured, too. That's a trade-off that any homeowners will take anytime. 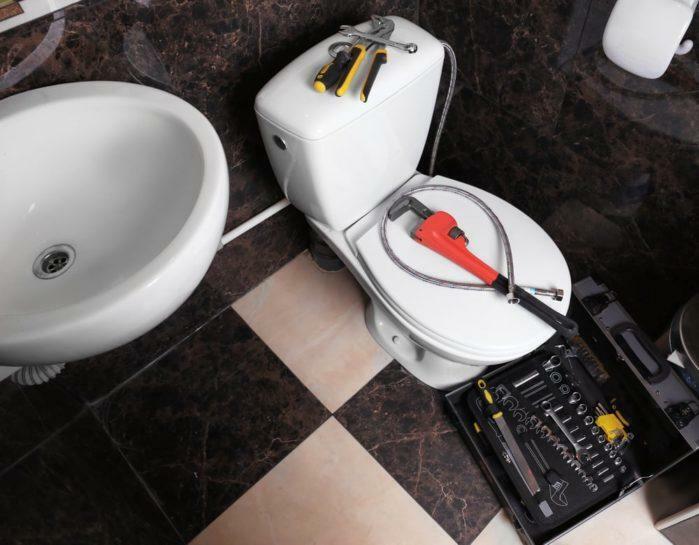 A toilet repair kit is a great item for DIY homeowners. They allow weekend warriors to make amends out of simple issues that encountered by their toilets. But sometimes, the problems might be too big for ordinary folks to handle. As I mentioned earlier, the items found inside a kit is limited. They are designated to address particular issues only. If you think that the problem is complicated, then you should call the help of professional contractors already. They might bring large trucks and heavy-duty arsenals to do massive repairs. Of course, these services are not cheap. At least they will solve your problem. That kind of convenience is worth to be acquired. Obviously, the toilet repair kit that you should choose must have the components that you need. Most of the time, standard packages include a flapper and fill valve. But it would be great if there are also sets of seals, bolts, and O-rings. Some kits may provide you with replacement fittings. However, you should be wary about their compatibility with your toilet. Of all the repair kits that I have featured, the Fluidmaster 400CRP14 is the most impressive one. It is a complete set. It has a fill valve and flapper that could fit on standard toilets. Other essential amenities for replacements and repairs are present too. One of the best things that this repair kit can offer is its ease of use. Specifically, its installation is not troublesome. Because of this feature, the repair process becomes convenient. Of course, it is still you who will decide which among these units is the best toilet repair kit. Tell me all your answers in the comment section below!